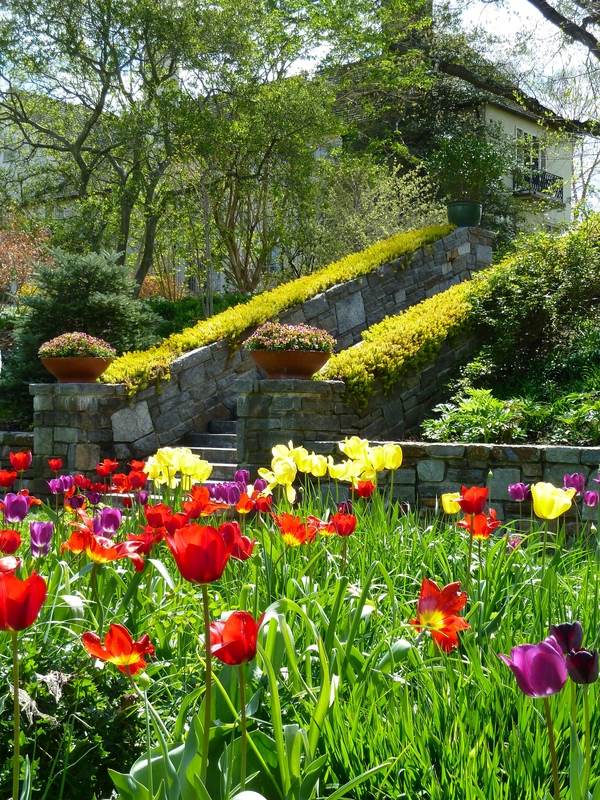 Chanticleer must be one of the best gardens on the east coast in April/May, not that I’ve seen that many, but a second visit did nothing to disabuse me of the notion. It’s got spectacle, art, and enough rare plants that surely any visitor would be impressed. 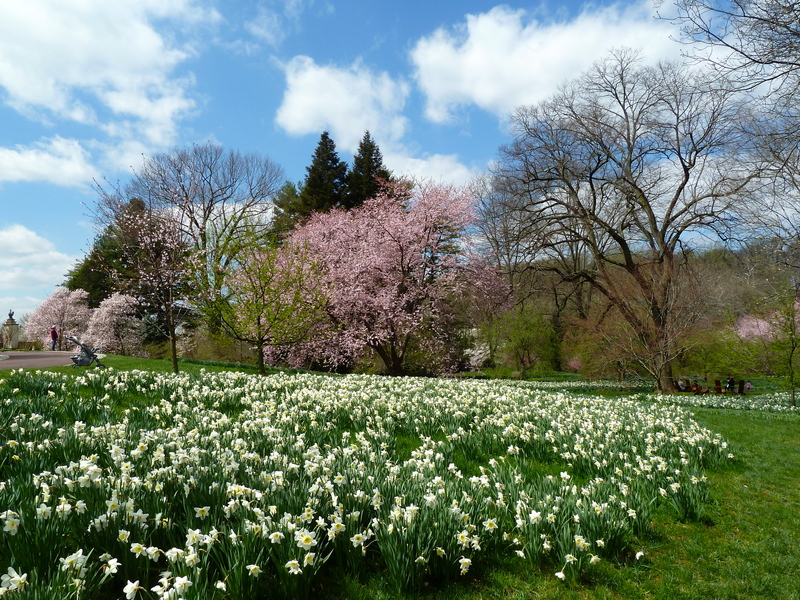 I was so happy to share it with family from Alberta – we share a similar shock to anything remotely spring-like and when confronted with Chanticleer I think we kind of shut down (some oaths were muttered is all I’m saying). Enjoy the photos Albertans (and Saskatchewanians) cause our “spring” ain’t never going to look like this. Love the waves of fritillaria, lettuce, and tulips. Playful and sophisticated. I have a cake in the oven and am procrastinating on the dishes, so I thought I would throw together my pictures from yesterday’s garden trip to Chanticleer and Longwood. Chanticleer was one of the most beautiful gardens I’ve been in. It floats you along through different spaces that are formed almost without you realizing it. The trees are just incredible and I cannot wait to go back in early summer when they’ve leafed out. As it is, we really couldn’t have timed a spring visit better as the cherries and magnolias were in full bloom. I highly, HIGHLY recommend a visit. You can skip Longwood though. It was like going to Disneyland after Chanticleer. We didn’t even know what to do with ourselves except wander through the huge conservatory and then amble aimlessly back to the exit past the magnolias (and admittedly impressive fritillaria imperialis). I bought some really nice looking begonias though, so there’s that? All of the photos are mine from Chanticleer. Sorry they aren’t better composed. I was sort of in a haze of joy. I recommend you all find amazing and gracious friends who take you on garden day trips for your birthday (complete with a stop in Philadelphia for a delicious dinner). I’m so lucky! P.S. I’ll add more informative captions with plant names sometime this week. Chanticleer has really interesting plant combinations – a lot of things are combined with ‘salad greens.’ This is actually a beet (Beta vulgaris ‘Bull’s Blood’).